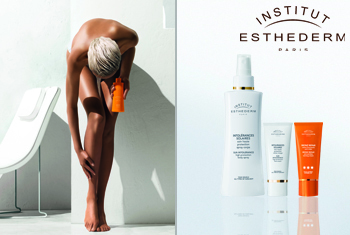 Keep your skin safe in the sun with Institut Esthederm Suncare for Body, a collection of luxurious, high protection sun care. Created to prepare skin for exposure to the sun, whilst boosting cellular defences and optimizing tanning, each product ensures that your body is prepared and adapts more quickly to the sun. After use, your skin is boosted with optimised protection, safeguarding the youthfulness of your skin against signs of photoageing.